Home / Travel / Is the 3-Day Go Oahu Card Worth It? Is the 3-Day Go Oahu Card Worth It? Yes, and it depends. As with any discount card, you have to take into account what type of vacation you want to have and how much time you have. If you choose to just sit at the beach and relax in the sun. Don’t get the Go Oahu Card. It’s not for that type of vacation. Relaxing in the sun on the beach is free, still. That’s about the best discount you can get. However, if you know that you want to experience some of the culture of Hawaii, a Go Oahu Card can help you do that. For example, we knew that we wanted to do a luau. 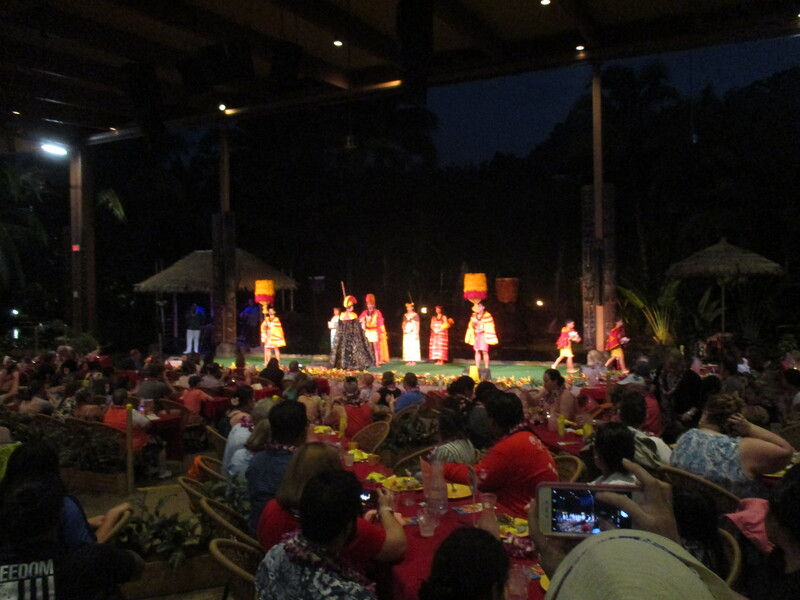 They run north of $100 per person, and the best-rated Luau is at the Polynesian Cultural Center, which is about $120. We also knew that we wanted to visit Pearl Harbor. Its place in history makes it an important spot to visit for anyone who wants to think about warfare and understand human nature better. The activities there run about $40, but the Arizona Memorial and its related movie is free. The two combined activities add up to $160, which meant we would need to find an activity or two that would add up to about $40. Not knowing that Pearl Harbor was a full day tour, I was still concerned that we wouldn’t be able to do enough activities to make the Go Oahu Card worthwhile. A lot of the activities take place in the morning because it gets too hot in the afternoon to do anything. We decided to do the 8 am Diamond Head Hike ($18) and the afternoon tour with Makani Catamaran (about $100). We didn’t have a car, so I wasn’t sure that we could make the catamaran, but we signed up for it anyway. There was plenty of time, so we got our money’s worth.